If pumpkin carving isn’t for you, don’t worry our pumpkins decorating ideas and projects yield eye-popping pumpkin displays without the goopy mess. Our easy no-carve pumpkins include ideas for decorating a pumpkin with ribbon, stickers, faux flowers, paint, and more. You can use an apple corer to create pretty pumpkin designs in a pinch or add lace and metal to make a folk art pumpkin. 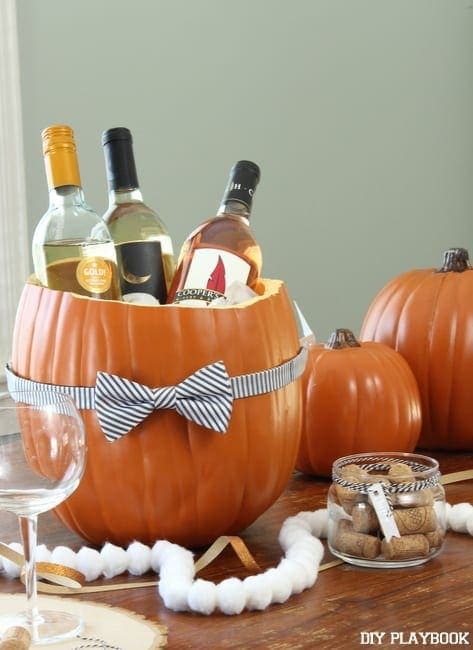 Our fresh pumpkin decorating ideas will give you creative new ways to display pumpkin on your front porch. You can even use things from your junk drawer to create no-carve Halloween pumpkins; just gather old gears, springs, nuts, bolts, and anything else that catches your eye in no time at all, you’ll have a family of junk pumpkins with funny faces.